"There was a beast in there. But there was also a girl who was afraid of being a beast, and who wondered if other people had beasts in their hearts too." Review: Be warned, faint of heart! This book is grit and anger and fear and heartache. This is not a novel for a "light, fun" read. You're going to need some tissues. Tiger Lily turned the story of Peter Pan on its head and focused on a new perspective, coming from a more feral-type Tinkerbell as she narrated the twisting, heart wrenching tale of the title character and her chaotic life. Now here comes the hard part: rating the book. On one hand, it was a breath of fresh air to read about a non-likeable girl with just a dash of eccentric flaws and imperfections. It seems that girls, in most contemporary literature, are still held to this secret formula of standards. A girl that is too odd or too flawed might offend the reader. 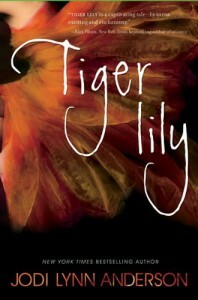 Tiger Lily wasn't a cutesy little manic girl - she was a hot mess. She held her fear and her feelings inside until it tore away her humanity. She wasn't the winner or the hero of the story. She was the loser and the villain. However, on the other hand, I did find it almost impossible to relate to her and get inside of her to understand her feelings. The quote hinted at an insecure girl who just wanted to understand her difficulties, but I she seemed so tight lipped that she never even let the reader inside of her heart or her head. Her cruelty towards her own loved ones also gave off an unpleasant vibe from the Neverland native, and I found myself hissing at her quite a bit in the story. I did enjoy the symbolism and the imagery of the novel. Neverland isn't some sweet little place - it is dark and dangerous and the land survives on death and sadness. Everyone in Neverland seems to share a common trait that they are broken and forgotten in their own misery. There is not an ounce of happiness in this book. 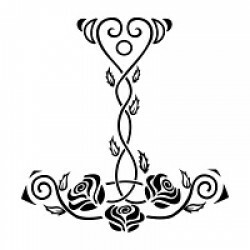 It helped set a tone of realism inside of a fantasy novel. My personal take is that fantasy entertains the escapism for the audience. We turn to fantasy when we do not like the real world. Science fiction also shares this trait. But this book does not exist to make you happy. It will gut you. Portraying Tinker Bell as a feral-type old school fairy was a huge plus. Yes, I do love me some adorable and beautiful imagery of fairies, and pop culture has set the standards on depicting the fae folk. However, Tinker Bell seems more creature-like than human in the novel, and I found it highly fascinating. It draws attention to the fact that fairies have not always had such a kind history in their own lore. They can be sweet and attractive, but they can also come across as cruel and soulless. I honestly liked this new savage Tink. I believe my main concern for the story was the slow pacing and the utter lack of direction. I felt that I drifted through the story instead of living it, and I didn't feel very invited by the plot. I was kept at an arms length, as if the author wanted me more on the outside than the inside. Overall, I can say that this book is well worth the read. I would suggest this to anyone looking for a rough, painful read. If you also enjoy the Peter Pan mythology, this would be a wonderful addition to your collection.